Great price for all day parking. 19 available locations. If you're planning on spending a weekend away in London, Birmingham or Cardiff we can help keep a bit more money in your back pocket. When you pre-book online you can park for up to 12 hours for just £5 in selected city centres across the UK. The £5 parking offer is available for bookings at our London Portman Square , London Aldersgate , London Grosvenor Hill, London Saffron Hill, London Vintry Thames Exchange, Birmingham High Street, Birmingham New Street, Bristol Broadmead, Bristol Nelson Street, Bristol Queen Charlotte Street, Bristol Rupert Street, Bristol St James Barton, Leeds The Core, Leeds The Markets, Leeds Wellington Place, Leicester Rutland Centre, Leicester St Nicholas Circle, Newcastle John Dobson Street and Croydon Wandle car parks for entries between 30 April 2015 and 6 September 2015. This offer once booked is non refundable and cannot be cancelled. Bookings using this offer can be amended up to 6 hours before the booking start time. This offer is valid for new bookings made from 30 April 2015 to 6 September 2015. Only 2 to 12 hour stays are allowed. 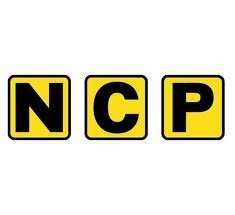 This offer is only available when pre-booking online at ncp.co.uk . Prices shown may be subject to change at short notice and are correct as at 30 April 2015. Nice. Worth mentioning it needs to be pre booked online. Brilliant deal - heat added. Thanks, heat added. Cracking deal, just pre booked online now as was already planning to go shopping with the wife to Birmingham at the weekend. Cold, not available for Scarborough. This post is blatantly Scarborough-ist and has been reported. if i were to book between 9am till 5pm but then i enter the parking area at 10am for example, is there any additional charge or the booking becomes invalid? if i were to book between 9am till 5pm but then i enter the parking area … if i were to book between 9am till 5pm but then i enter the parking area at 10am for example, is there any additional charge or the booking becomes invalid? No additional charge but the traffic warden calls all his mates and they point at you and laugh and eye up your missus, they'll also lift up your windscreen wiper blades while you are away and write ' I WISH MY WIFE WAS AS DIRTY AS THIS' on your car if it is dusty. At least that's the standard practice in Scarborough. great deal but i assume those London locations are subject to having to pay the congestion charge ? Cold, not available for Scarborough.This post is blatantly … Cold, not available for Scarborough.This post is blatantly Scarborough-ist and has been reported. great deal but i assume those London locations are subject to having to … great deal but i assume those London locations are subject to having to pay the congestion charge ? Bit better than the £26 I paid in Brighton recently for a 4 hours + stay in one of their fine constructions. Good deal, although I was not aware that 12 hour parking was considered 'all day'! I know you use to be able to contest these if you actually bought ticket, but not sure how that works if they take a photo of your windscreen. Made me laugh once when I saw a campervan in Cornwall with hundreds of pay is dismay tickets on the back windows at the side and I can imagine the warden going through every one to see if there was a valid one. I know you use to be able to contest these if you actually bought ticket, … I know you use to be able to contest these if you actually bought ticket, but not sure how that works if they take a photo of your windscreen. Made me laugh once when I saw a campervan in Cornwall with hundreds of pay is dismay tickets on the back windows at the side and I can imagine the warden going through every one to see if there was a valid one. A warden wouldn't go through each one, they would just fine them for not displaying a valid ticket clearly. And you can actually get fined for displaying more than one paring ticket. Can I book it now and use it end of September? So how does a weekend in Cardiff help with closest one on the list say Bristol? Bit better than the £26 I paid in Brighton recently for a 4 hours + stay … Bit better than the £26 I paid in Brighton recently for a 4 hours + stay in one of their fine constructions. It's £4 in Birmingham at weekends for 12 hours. Guess if you pre-book they charge you for the privilege. I use it most weekends. Where did you park? I use the £1 an hour if I'm just getting a few things that's on the high street I think near to boots and park by moor street station for £4.50 for five hours I think. I guess parking will be expensive because its tourists destinations but In Leicester its 3.80 all day . plus get a discount card to make it cheaper if you use the car park everyday . Check the signs and the pay and display machines to be sure. For Marble Arch and Mayfair parking then this will be a bargain as expect to pay around a fiver an hour even on a pay and display bay. disgusting have to pay for parking anywhere. wish I'd have bought a plot of land on London 30 years ago! I don't care what some people will say but free parking should be a basic human right. AppStar, whilst I agree that Free Parkin would be of value to all, I should point out that this is really only a plot night event. Like Easter eggs at Easter time, and walnuts at Christmas time if you will. Further, I would urge caution on the use of free Parkin in London. As everyone should be aware "
I paid £40 for 4 hours at the one in Covent Garden on Saturday, would have been nice to have this. Does anyone actually want to stop in Scarborough that long?